You can find out about your credit score by asking for your credit record. You can have a copy for free each year from Equifax and TransUnion, you just need to send an email. Otherwise, you’ll have to pay around $15. Your credit score goes from 300 and 900 and is calculated on all your personal financial data from the last six years. Discover how your credit score works and how to improve it faster or simply keep it as good as possible. We live in a credit-centric society these days, meaning credit scores are all-powerful factors in determining if each of us is financially responsible enough to make significant purchases; at least, that’s the case in the eyes of creditors. 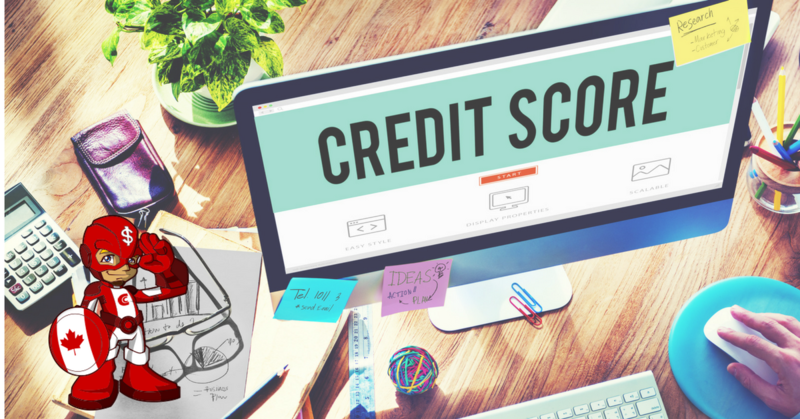 Whether you’re looking to purchase a home or a new suite of bedroom furniture, chances are you’re credit score will come into play. While a good score can work in your favor, a not-so-great number might make life a bit difficult. Those with scores on the lower end of the spectrum tend to be faced with higher interest rates, less favorable terms and reduced credit limits. Though being denied for a loan of some sort isn’t a surefire end result, it’s certainly not out of the question. Knowing your credit score is the first step toward taking matters into your own hands. It’s not possible to transform a bad number into a more suitable one overnight, but it’ll prevent any unpleasant surprises when applying for a new car or, in some cases, even a job for that matter. Having a clear understanding of your score can also give you the power to maintain it or improve upon it as the case may be. Plenty of online agencies are available to provide running feedback on your credit score, but many of them come with a price of their own. When scrimping and saving in anticipation of that next big purchase, adding another monthly expense to keep up with your current credit status isn’t exactly an ideal approach. If you have the extra cash to invest in a tool like this, though, don’t hesitate to take advantage of it. Here in Canada, two leading agencies keep tabs on our credit scores: Equifax and TransUnion. Each offers one free credit report per year which you can request by email. For more frequent updates, expect to pay anywhere from $15 to $25 dollars or so depending on how extensive you want your report to be. I Know My Credit Score, but What Does it Mean? Your number should be between 300 and 900 with the former being rated as poor and the latter considered excellent. If you fall into the 760 to 900 segment, congratulations are in order. Most of us don’t; in fact, the majority of the nation’s population lands somewhere in the middle at present. Although it’s a difference of only 110 points or so on the number line, a lot can change in such a short span. Where Does My Score Come From? Amounts Owed: At 30 per cent of your credit score, amounts owed covers the remaining balance on any accounts currently listed under your name. Length of History: Here, the reporting agencies look at how long you’ve been a member of the credit-bearing community. Generally speaking, well-established accounts give you greater clout, and this amounts to 15 per cent of your score. New Accounts: Coming in at 10 per cent of the final calculation, how many recently opened accounts you have under your belt also have an impact on your score. Too many could take it in the wrong direction. Types of Credit: Also weighing in a 10 per cent, the diversity of your credit lines plays a role in how high or low your score will be. Equations and algorithms come into play, ultimately ending in a single, yet powerful figure representing your financial trustworthiness for creditors. It fluctuates from time to time based on any new accounts opened since your last check-in, late payments or lack of them, how many lenders actually check your score from one period to the next and a number of other considerations. How Do I Maintain a Good Credit Score (or Improve a Not-So-Good One)? Keeping an excellent score where it needs to be or boosting a lower one to a more favorable status can be done in a number of different ways. It’s really a matter of paying attention, balancing the scales and exercising caution. We can’t stress enough the importance of paying all your bills on time and allotting the full amount due, or at least the minimum payment required, to remain in good standing with creditors. Leaving unpaid balances or even making a payment a few days late could have a significant negative impact on your credit score. Two distinct forms of credit are included in this aspect of score calculations: revolving and installment. Revolving credit covers credit cards, charge accounts with specific stores and other arrangements in which you make monthly payments toward a set spending limit. On the other hand, installment credit refers to home, vehicle and personal loans. Monthly payments are applied to the end goal of ultimately paying off the debt in question. While those providing lines of credit in both these categories report to the credit bureaus unless otherwise stated, not all creditors do. Power, water and gas companies as well as phone, satellite and internet providers don’t usually keep the reporting agencies apprised of account-holders’ activities. Though you should keep those bills up-to-date for obvious reasons, they don’t factor into credit scores in quite the same way other companies do; after all, who hasn’t had to put off the power bill for a week or so? Of course, there’s a catch here. In the event you switch to a new utility provider and leave an outstanding balance with the previous one, this will end up on your credit report just like any default or bankruptcy would. Though paying bills well in advance of their due dates won’t cause your score to plummet, reporting agencies also look at creditors’ statement dates. Making payments close to those closing dates will help ramp up your rating. In short, pay bills promptly. This diligence will be reflected in your credit score and pay off well in the long run. Each person has a specific credit limit both from individual creditors and lending arena as a whole. Having a set amount available to you doesn’t necessarily mean you should use it in its entirety. Experts from the financial sector recommend using no more than 30 per cent of the credit at your disposal each month, but leaving 90 per cent of what’s available untouched is even better. Let’s look at a very basic example. 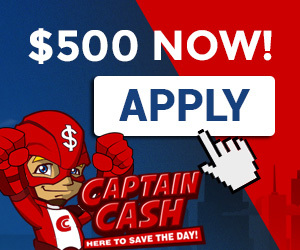 Say you have a $1,000 line of credit with your bank. No real harm could come from seizing the opportunity and taking the full amount as long as you’re able to pay it back over time. When the reporting agencies look at your status, though, they’ll see the $1,000 loan on your record and note this outlet is at its maximum limit. Instead, consider taking only $300; if you can possibly manage with less, restricting it to $100 will have an even more positive affect on your credit score. Delving a little deeper into this aspect, it’s important to make sure you never exceed your credit limit. It’s not difficult to do in light of the many overdraft, safety net and other cushions available today, but sources indicate being as little as $5 in the red could shoot down your score. Keep close watch over your spending limit, and if you’re unsure, try to err on the side of caution. In addition to the number of accounts you have, how long they’ve been in place and how much of a balance is left owed on them, reporting agencies look at the types of credit you’ve established. Having seven car loans in your recent history wouldn’t look too favorable even if they’ve all been kept up-to-date and paid off on time. Ten credit cards might reflect poorly on your credit score regardless of how much you pay down those balances each month. As is the case with an investment portfolio, it’s important to not place all your eggs in a single basket. Build a well-rounded credit profile consisting of, say, a past car loan and a current one, a mortgage, a credit card or two and a reasonable personal loan. This keeps your credit up-and-running and shows you’re in the good graces of various types of lenders. Maintaining a good credit score essentially revolves around having a nice blend of both new and long-running debt with the right types of creditors and keeping monthly bills paid on time, in full. Request a free copy of your credit report annually to keep you updated. Keep new accounts and your level of debt at a minimum, but don’t let your credit profile stall out; doing so could have a negative effect on your score equal to that of making late payments or defaulting. Finally, if you see any problems on your report, don’t hesitate to contact your reporting agency and the erring creditors alike to resolve them as soon as possible. Take credit for your efforts and dedication to maintaining your score, but don’t sit back and take responsibility for mistakes you didn’t make.